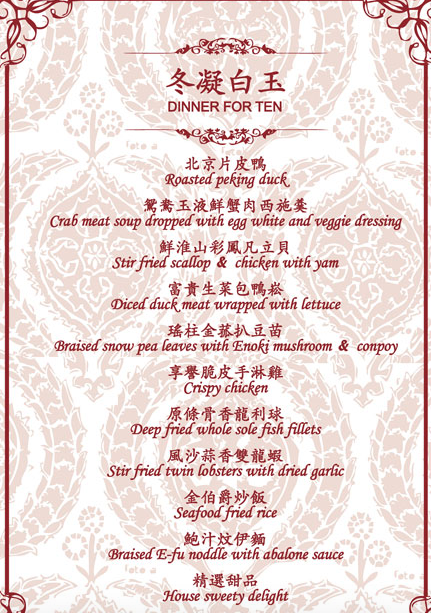 On March 1 starting at 6:30 pm, Reel Asian will host the 4th Lunar New Year Fundraiser at Crown Princess Fine Dining Restaurant in downtown Toronto. The ticket to the fundraiser includes a delicious 10-course Chinese dinner, traditional lion dance performance, on-site silent auction and raffle draw. The top prize for the raffle this year includes a Premium Economy round-trip flight to a select Southeast Asia destination, generously provided by Reel Asian’s special sponsor Cathay Pacific. Don’t miss out on this opportunity to book your next vacation! General admission single ticket is $135. As a Reel Asian member, you enjoy a special 10% discount! See here for the menu for the 10-course dinner, and purchase tickets online for you and your guests today by filling out the form below. Note that this link to tickets is a private link for Reel Asian members only. Please do not distribute widely.